Vienna, c. 1900. 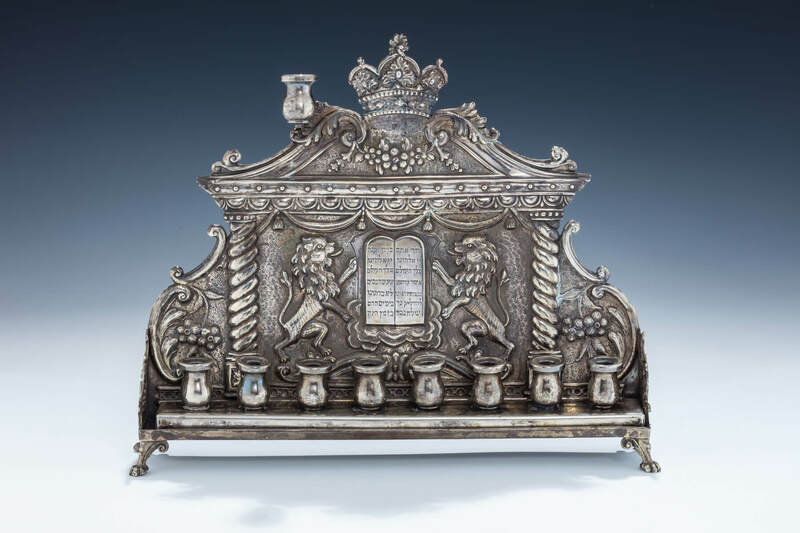 The backplate richly embossed with two lions flanking a decalogue on a stage being held up by two solomonic pillars. Further decorated with flowers and a crown. 8” tall.